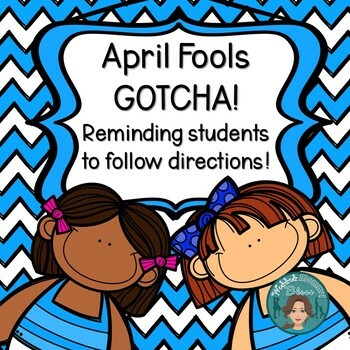 This is fun little following directions quiz to use on April Fool's Day. 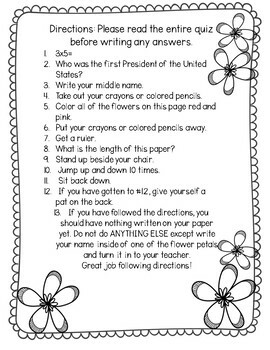 I know that getting students to follow directions can be a real task! 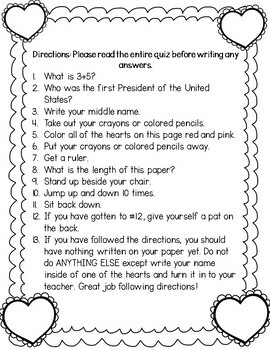 This little "quiz" is going to ask them to follow directions by reading the entire quiz before doing anything on the paper. If you think that this won't be fun for you, PLEASE take a second to read the feedback that I've received on this product!!! Happy April Fool's Day!!! 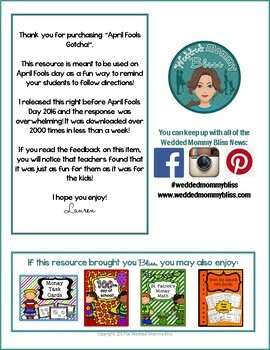 I hope you enjoy using it with your students! • Please go to your My Purchases page (you may need to login). Beside each purchase you'll see a Provide Feedback button. Simply click it and you will be taken to a page where you can give a quick rating and leave a short comment for the product. Each time you give feedback, TPT gives you feedback credits that you use to lower the cost of your future purchases. I value your feedback greatly as it helps me determine which products are most valuable for your classroom.